Robin. 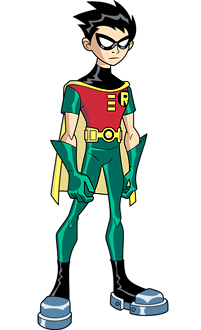 idk,it's just a pic of Robin. Wallpaper and background images in the Teen Titans - les jeunes titans club tagged: robin. Omg!!!! I love the way he is drawn!!!!! that is a cool pic but iv alwayed woundered whats up with the steel toes? they kinda freak me out.